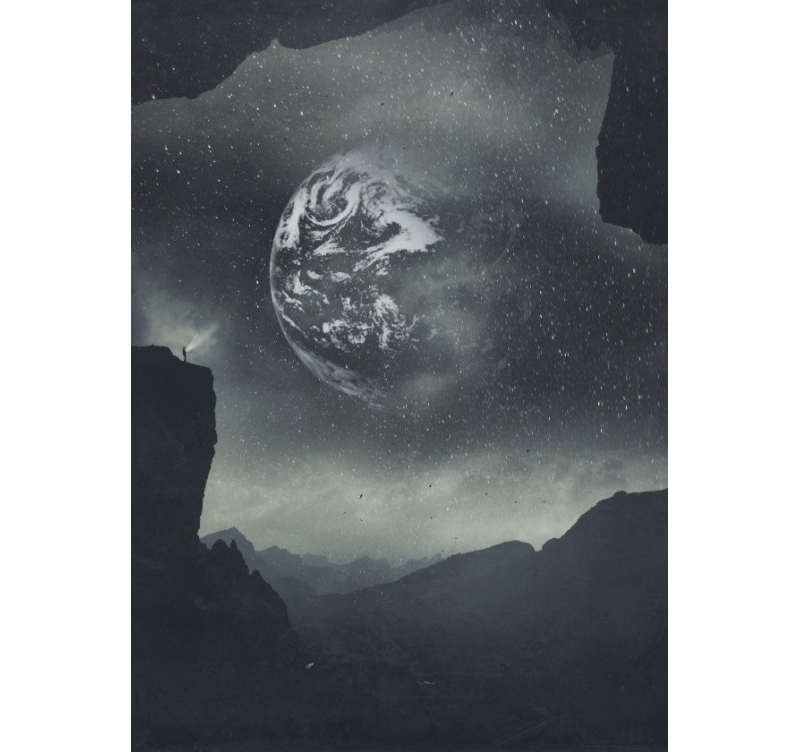 A surrealist work by a talented German photographer who loves to mix landscapes and celestial bodies on a metal poster. 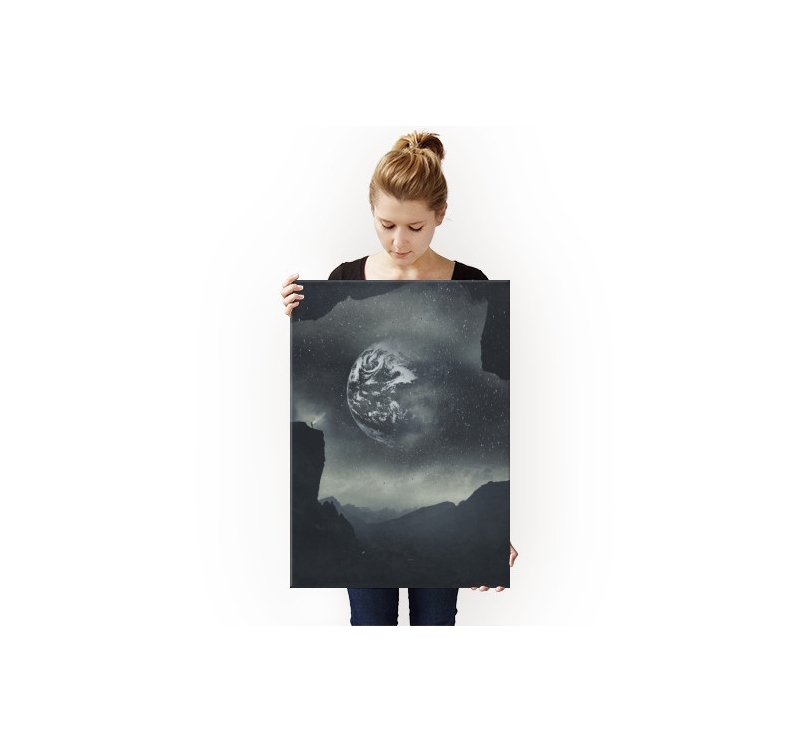 The Earth, seen from an imaginary planet close to space, is at the center of the design metal poster. The dimensions of the metal poster are 48 x 67,5 cm. 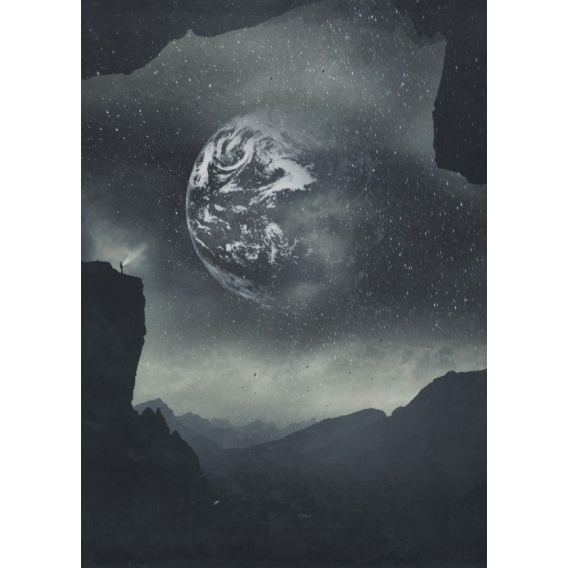 Completely free delivery in mainland France and Belgium for this Dreamorbit wall poster. The Earth seen from the Earth. This is what the imagination of the German artist Dirk Wüstenhagen has created for this metal poster. A decorative metallic rendering as surprising as the strange atmosphere that emerges from this reinterpreted photograph. From a vertiginous cliff, a silhouette admires the spectacle of the Earth and clouds that dress it. Would a planet in our space be inhabited ? 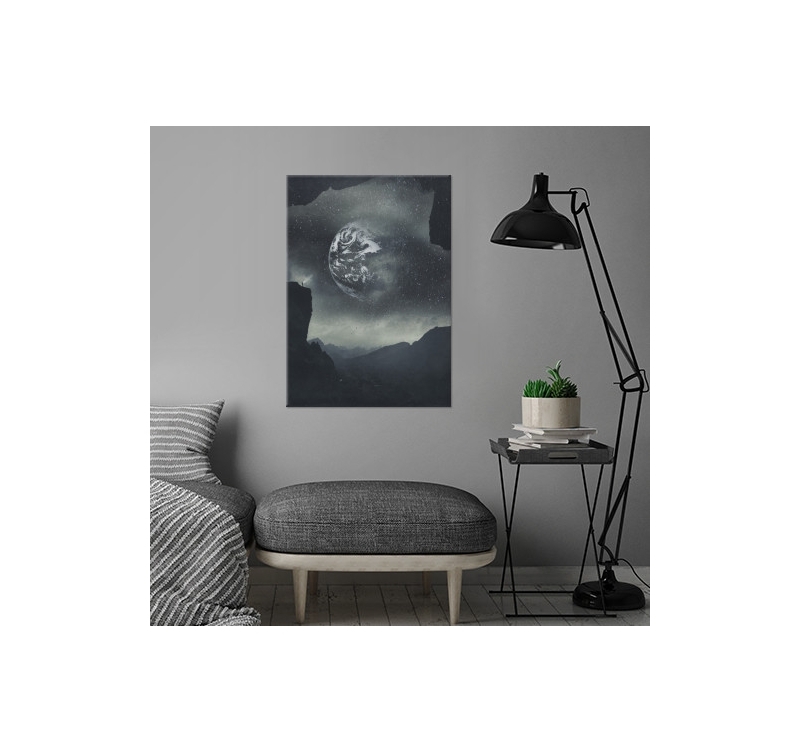 The wall design poster will play your fancy, it will be a beautiful decorative object for your living room or bedroom. 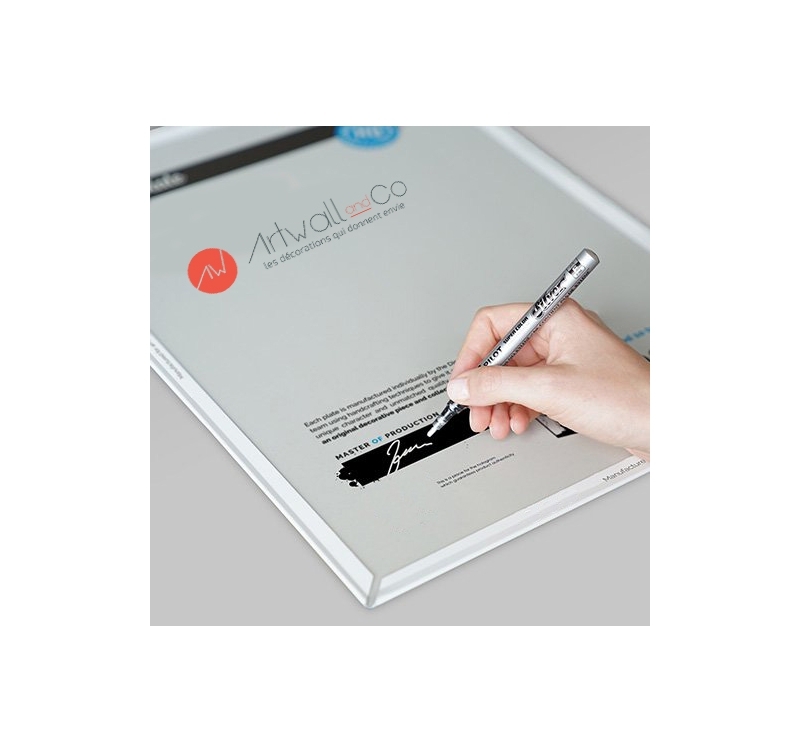 We provide with the modern poster an original and very practical hanging system. 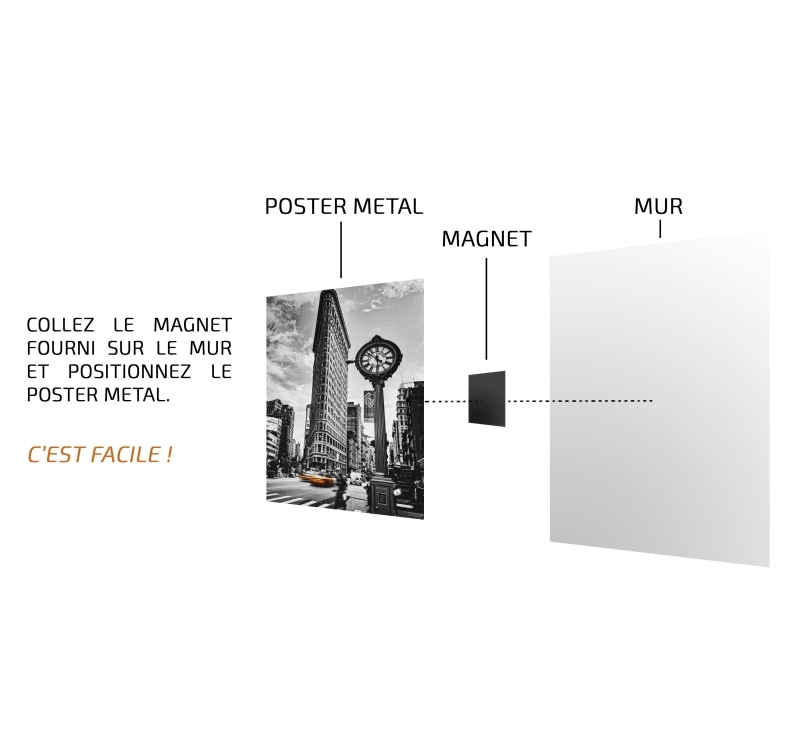 Just stick the magnet on your wall and then bring the metal poster to the wall as if by magic.